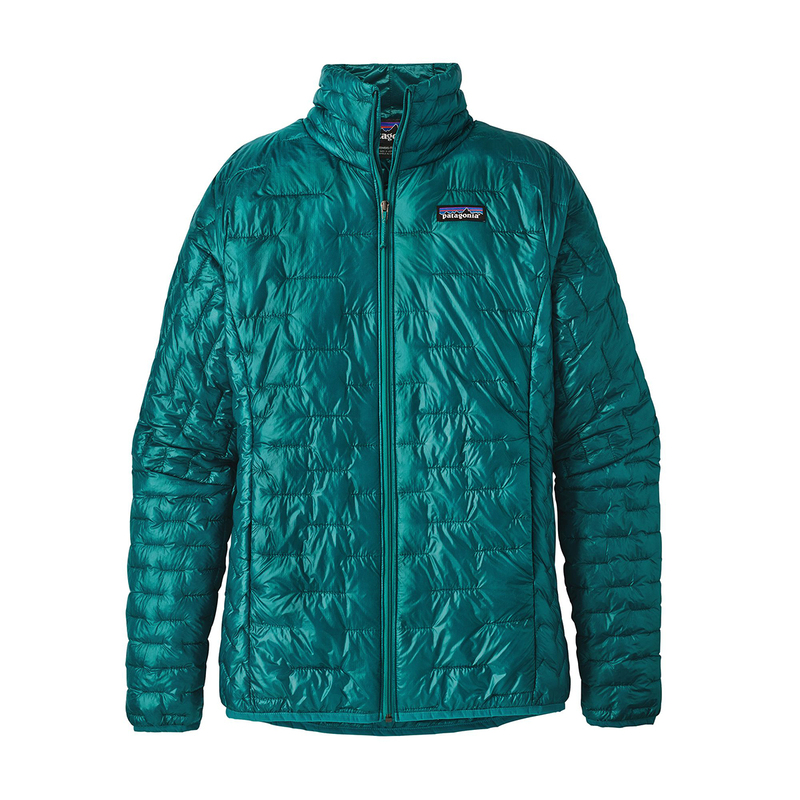 The Patagonia Women's Micro Puff Jacket is the lightest synthetic down jacket in Patagonia's range and features their new PlumaFill insulation. PlumaFill has been 10 years in the making, and in comparison to other synthetic insulations on the market, it offers a more stable construction that prevents the formation of cold spots and increases lifespan. It's of a similar warmth to that of down and also highly compressible, whilst having the advantage of being warm when wet. The nylon ripstop Pertex Quantum® shell with a DWR finish is durable, windproof, and water-resistant, and it enables the PlumaFill insulation to fully loft to provide maximum insulation. A solution for anyone seeking the lightest weight, most compressible synthetic jacket that's just as warm as a down alternative. Whereas traditional synthetic fibres are loose and require baffles to hold them into place, PlumaFill is constructed as continuous strands of material, which combined with an offset, discontinuous quilting construction prevents the insulation from shifting around and creating cold spots. This type of fibre combined with a unique quilting pattern means that large air spaces are created inside, mimicking how down traps heat. It also makes the insulation more durable, as PlumaFill, being a continuous strand unlike down, does not clump.